094.Ernesto Rios Lanz – JavaMuseum 2010 – Celebrate! is a multi-disciplinary visual artist who works with a diverse palette of tools: drawing, painting, video, photography, animation, virtual reality, performance, interactive art and net-art. used technology (software etc): Flash, In Design, Final Cut. Required plug-ins. Note: The project does not support Internet Explorer, it’s better to use Firefox. Yarra is an arts investigation by Ernesto Ríos, which offers multiple interpretations of site, place and space. It is a collaborative multi-disciplinary audiovisual project that celebrates the pleasure of drifting in the culturally and socially diverse City of Yarra in Melbourne Australia. Yarra brings together self selected writers and sound artists to record their random urban explorations of the City of Yarra. Using social network platforms, e-mail, forums and word of mouth Ernesto Ríos invited over two hundred people to drift in the City of Yarra. Based on their artistic practice and interest in working with Ríos´s process seven artist completed seven unique derives. These explorations generated multiple artistic interpretations of identity within the metropolitan kaleidoscope, place and the participants’ time in the City of Yarra resulting in a prototype interactive and permanent website with the view that, in the future, this website can be built upon by City of Yarra. 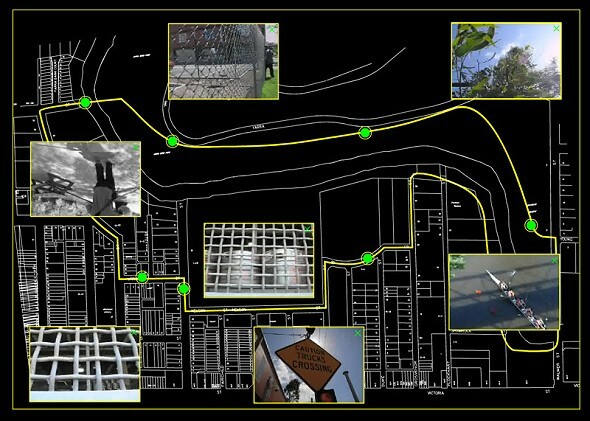 This project can also be seen as a series of probable journeys through the puzzling everyday maze of the City of Yarra. 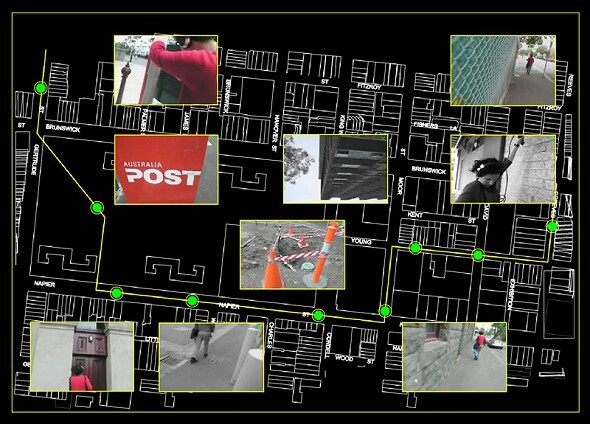 Yarra draws upon the concepts of the political and artistic movement, known as Situationist International and the artistic practices of Psychogeography and Dérive but incorporates the more contemporary art techniques such as multimedia field recordings. Psychogeography is “The study of specific effects of the geographical environment, consciously organized or not, on the emotions and behavior of individuals”. La Dérive, a French concept meaning an aimless walk, probably through city streets that follows the whim of the moment. Dérive is also considered as an experimental mode of behavior linked to the conditions of urban society; a technique of transient passage through varied ambiances. This project has received the support of: City Of Yarra and the 2010 Community Grants Program, Punctum, In-Habit project, RMIT University and Optisolutions I.T. The artist would like to extend special thanks to Jude Anderson, Rosario Castro, Rodrigo Szalay, Eduardo Vital Preciado, and Daniel Geake for making this project possible.